Home Tags Posts tagged with "Harold David"
Charles Lomu and Kiko from our Garage Barbershop project look critically at the art of barbering. What is unique about barbering? Kiko | It’s the lifestyle, there are rules and it’s more about how you live your life. It’s about being clean and respectful. 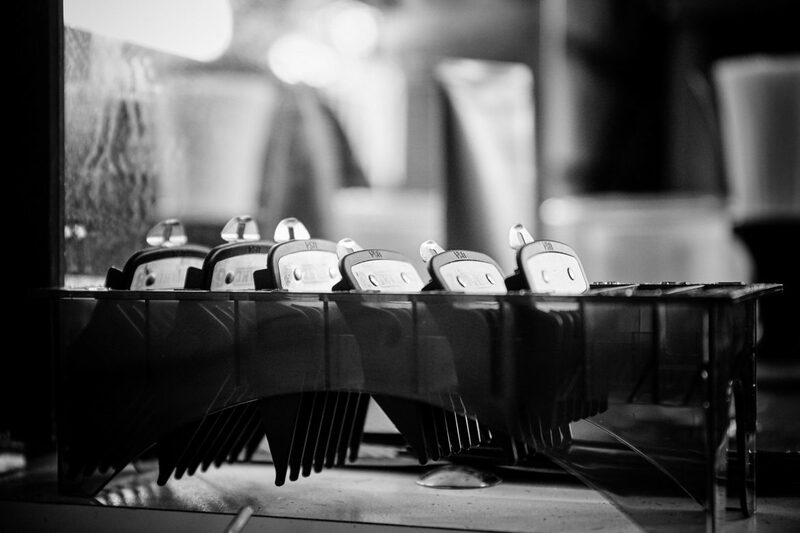 Charles | Barbering has such a huge culture and history. Fundamentally, it’s about customer service and service to others. The importance of teaching young men barbering today is that we live in a society where everything is going digital. But one thing that’s for sure is that you’ll never be able to automate a haircut online. It’s something that will still be in need in years to come, so I find it a very important skill to pass on to young men. And it’s more than just a haircut – it’s about knowing how to communicate, knowing how to present yourself well, knowing how to treat others with respect, and it’s knowing how to be a good listener. As a barber, do you have a signature cut? Charles | The fade – it’s something I’ve always loved since I was a kid. I’m a big fan of hip-hop and street culture. I think the urban art of fading is something that represents street fashion, or street culture, and I love it. I think it makes people look clean and very smart. Kiko | I’m not really sure yet, to be honest. I don’t really have a signature cut, but the main one I always do is a mid-fade. From the neckline, you go from zero, to one and a half and then two – using the ear as a guide. Kiko, what have you learnt from Charles during the Garage Barbershop project? Kiko | He’s taught us this important thing, called the 5 Cs, which are consistency, cleanliness, customer service, commitments and cuts. Charles, what have the young men taught you? Charles | They’ve taught me that it’s important to be a role model, to set an example in what I do rather than just what I say. They’ve also reminded me of how important this role is, of giving back to the community. They’ve reminded me also that we live in a world that has turned into a rat race, and there’s hardly any time anymore for even their parents to stop and pay full attention to them because they’ve got to try and hold a job down and look after them and feed them and keep the lights on and a roof over their head. It’s shown me the importance of giving back, because we can help one another raise each other’s children. They’ve taught me the importance of education by demonstration. I’ve learnt much of an impact we can be when we work together as a community. The services, youth workers such as myself at the grass roots level, the young people, the young people’s families, the parents, everybody working together and supporting one another makes a huge difference. If you’ve visited Charles at the pop-up barbershop at Blacktown Arts Centre (or the one in his actual garage), you’ll be familiar with his fine taste in music. Charles, aka Six Pound, is a local barber and all-round good guy. Sampling a diverse mix of 90s RnB and soul classics, Charles’ playlists are the soundtrack to his Garage Barbershop. Charles Lomu, aka Six Pound, throws open his garage door for a multi-faceted project that explores notions of how men build community and identity in the sacred space of the neighbourhood barbershop. 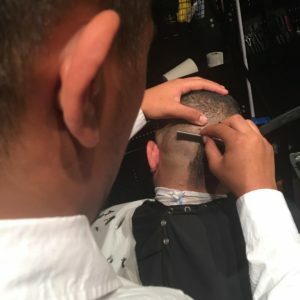 The project – which includes barbering workshops for local young men, photographic portraits by Harold David, a video work, and new music – culminates in an exhibition and performance at Blacktown Arts Centre. Garage Barbershop by Harold David, 2017. 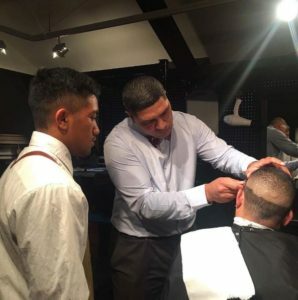 As part of the Garage Barbershop project at Blacktown Arts Centre, Charles Lomu has mentored a group of young men – dubbed the ‘Original 5’ – in barbering as a craft, a culture and a potential career. Charles and his young apprentices are now manning a pop-up barbershop at Blacktown Arts Centre every day during the exhibition! These sessions are free. Bookings essential. 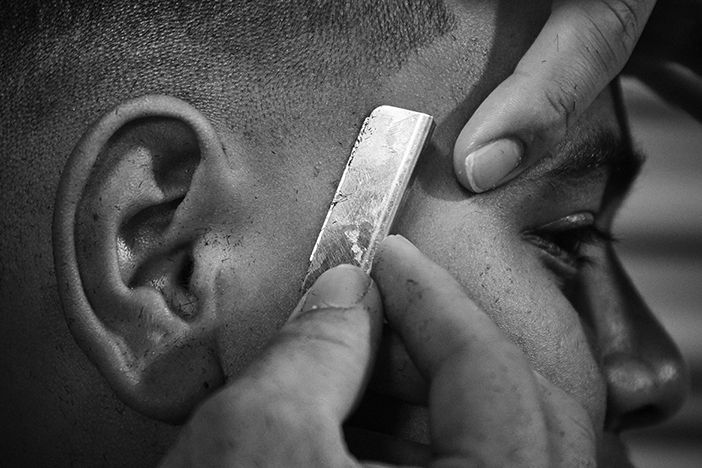 Garage Barbershop is presented in partnership with Information and Cultural Exchange. 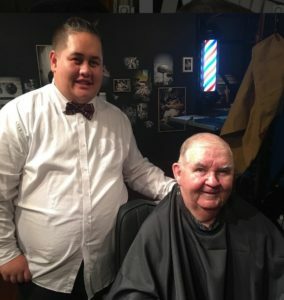 In a modest garage in the heart of Blacktown, men come to have their hair cut, faded and shaved by self-taught barber Charles Lomu and his 5 apprentices. This humble space is not just somewhere to go and get a haircut; it is a hub where men can congregate and converse without feeling judged or out of place. Garage Barbershop presents a series of photographic portraits by international fashion photographer Harold David that depict modern masculinity; and candid video interviews with men from Western Sydney. Charles and his young apprentices will also man a pop-up barbershop at Blacktown Arts Centre. 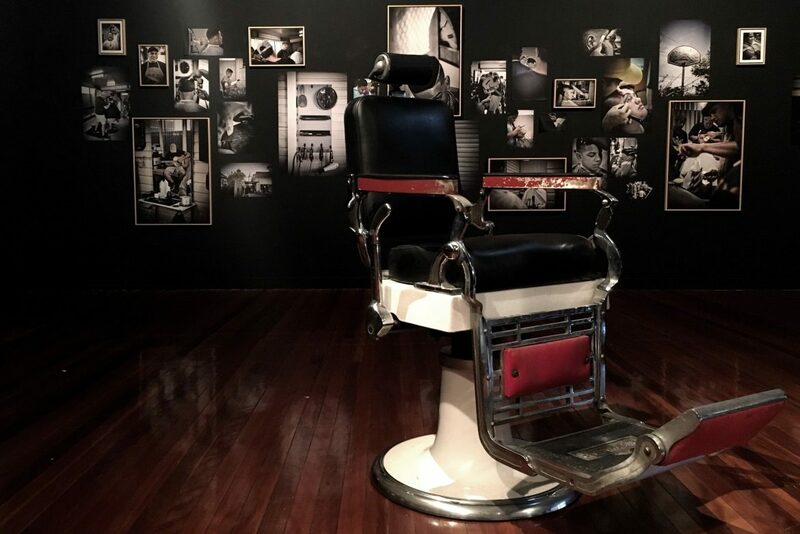 As part of the project, Charles Lomu mentored a group of young men – dubbed the ‘Original 5’ – in barbering as a craft, a culture and a potential career. 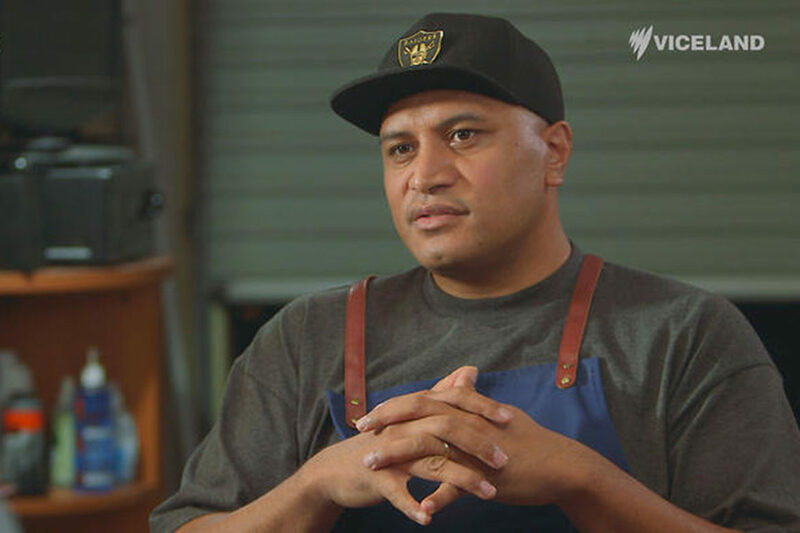 Did you catch Charles Lomu talking to Patrick Abboud on The Feed SBS VICELAND? Charles, a self-taught local barber and all-round good guy, and his 5 apprentices feature in our next exhibition Garage Barbershop. Featuring new work by renowned photographer Harold David, and candid video interviews with men from Western Sydney, Garage Barbershop opens on Thursday, 11 May 2017 at Blacktown Arts Centre. 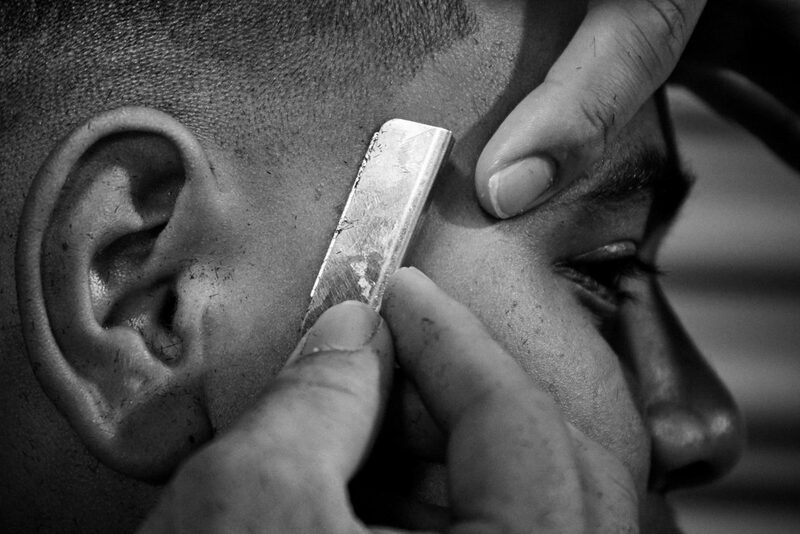 Garage Barbershop is presented in partnership with Information and Cultural Exchange (ICE).